Its been a year since Fidel Castro’s death, and his legacy is still examined in extremes—adulated by some, igniting repulsion in others. Take, for instance, the recent debate at the Presidential Palace of the Republic of Cabo Verde in honour of the one hundredth anniversary of the Russian Revolution, at which one commentator’s disparaging remarks about the Cuban regime reportedly led to the Cuban ambassador’s furiously vacating the arena. That Fidel Castro was a complex, multifaceted, and intriguing political personality is relatively clear, but the role he and Cuba played in the liberation of Cabo Verde and Guinea-Bissau is less well known. Pressured by African anti-colonial nationalists, many European powers including the United Kingdom, France, and Belgium eventually began to decolonise in the late 1950s and early 1960s. Portugal on the other hand, led by the ultra-conservative dictator Antonio Oliveira Salazar, categorically rejected decolonization. Anti-colonial nationalists from the former Portuguese colonies resorted to a war of national liberation. War broke out in Angola in 1961, then spread to Guinea-Bissau in 1963, and, a year later to Mozambique. These national liberation wars lasted over a decade, and ended only with the military taking over power in Lisbon. In fact, Portugal’s liberation from its own dictatorial regime was one of the first results of the anti-colonial wars that took place in Africa. During the wars, Portugal’s greatest asset was its NATO membership. Cold War politics meant that Portugal could rely on NATO war materials whereas African anti-colonial leaders sought to draw support more diversely from different regions of the globe. The PAIGC, (African Party for the Independence of Guinea-Bissau and Cabo Verde), developed a diplomatic offensive in the early 1960s to secure war materials. In the second half of 1960, the PAIGC, headquartered in Conakry, adopted a programme of ‘congratulatory diplomacy’. This involved dispatching congratulatory notes on the occasion of a state’s national day. Dozens of letters, telegrams, and other communication notes were sent to states in Africa, and beyond, and in which the PAIGC would acknowledge and praise the regime on its national day; be this a day of national independence or revolution day. These congratulatory notes were also accompanied by appeals of support. The ultimate goal was to allow what was at the time an unknown political regime in today’s Cabo Verde and Guinea Bissau to be recognized by diplomatic chancelleries across the world—chiefly among the states of the geopolitical South. Cuba was one of the targets of the PAIGC’s congratulatory diplomacy. Well-known for his scholarship on Cuban foreign policy under Castro, Piero Gleijeses argues that Cuban-PAIGC contact began in early 1963. Although the archives of the PAIGC indicate that the first political communication between this anti-colonial organization and Cuba was actually on January 1st, 1962. 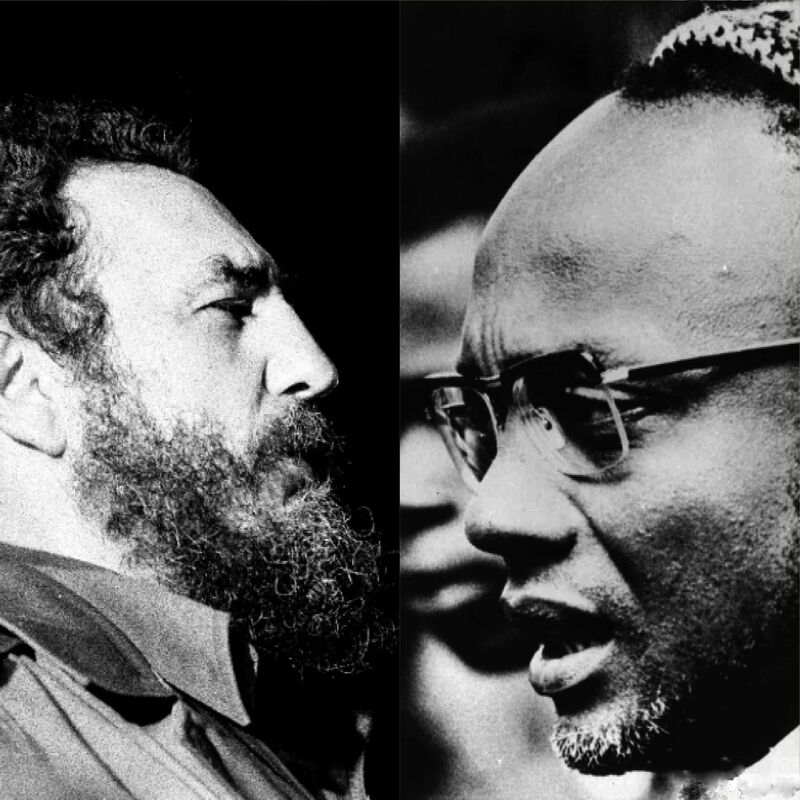 Amilcar Cabral, in a letter to then-president of the Revolutionary Council of the Socialist Republic of Cuba, Fidel Castro, congratulates Cuba for its third anniversary of “the victory of the Cuban people against imperialism’s reactionary and lackey forces.” Cabral’s hope was that the party could rely on what he called “combative solidarity.” A similar letter was also dispatched on July 26 – the day in 1959 on which Castro overthrew Cuba’s Batista dictatorship. The Cuban government, still consolidating power at home and dealing with the fall out from the failed Bay of Pigs invasion, did not act on these two letters. Che Guevara’s 1964/1965 Africa journey was a critical juncture in the relationship between the PAIGC and Cuba. In January 1965, Che met with PAIGC’s Cabral in Conakry. A few months later, Cuba’s first material support to the PAIGC was shipped on board the Uvero. The relationship between Cuba and the PAIGC reached its zenith following Cabral’s famous presentation at the Tricontinental Conference, held in Havana, in January 1966. Cabral’s now-famous address, “The Weapon of Theory,” put Cabral firmly on the map of intellectual revolutionaries. Portugal’s liberation from its own dictatorial regime was one of the first results of the anti-colonial wars that took place in Africa. From 1966 to the end of the war in 1974, Cuba’s support diversified and expanded. Cuba provided medicine, food, and war materials, to the PAIGC. Cuban Doctors, nurses, and fighters went to Guinea-Bissau and fought side by side with the PAIGC guerrilheiros. The PAIGC and Cabral had always maintained absolute agency and initiative of Bissau-Guineans and Cabo Verdeans in the struggle for national liberation. For Cabral, the national liberation struggle was above all a national political enterprise. True liberation had to be a nativist initiative. Thus, while Cuban fighters were accepted in the liberation war, they were placed in units in which the PAIGC lacked skilled manpower, such as the artillery units. Cuba’s presence in the war of national liberation also came in other forms. In early 1964, a year after the war of national liberation broke out, the PAIGC faced several political crises, one of which was the rise warlords. To curb these problems, a congress was called. The leaders of the party, who met in the liberated region of Cassaca, in Guinea-Bissau, decided to radically transform the party and military structures. One such innovation was the institution of the People’s Revolutionary Armed Forces (or FARP, in its Portuguese acronym). Given Cabral’s interests in different models of revolution, there is ample room for arguing that the FARP was an import from the Cuban Revolutionary Armed Forces. The liberation of Guinea-Bissau was just one piece of the liberation puzzle for the PAIGC. Liberating the islands of Cabo Verde was the major element. From the get-go, the PAIGC realised that the same military strategy that had been developed for Guinea-Bissau could not also be applied in Cabo Verde. The PAIGC’s plan for the start of the struggle in the islands of Cabo Verde was to replicate Castro’s 1956 landing of the Granma yacht in Cuba . So it was that in 1963, the PAIGC put together a group to study the question of Cabo Verde’s national liberation war. The group’s conclusions were that the war could be started by a small team of trained guerrilheiros, who would then stir the local population against the colonial authorities—à la Cuba’s foco theory. Cuba eventually became a major partner in this plan and in 1965 and 1966, a group of PAIGC’s Cabo Verdean fighters went to Cuba where they received further training in guerrilla warfare. For Cabral, the national liberation struggle was above all a national political enterprise. True liberation had to be a nativist initiative. The death of Che Guevara in Bolivia in 1967 meant that the PAIGC was unable to execute its plans. There is no doubt, however, that by then Fidel’s Cuba had become an important source of fighting inspiration to the PAIGC and an important channel through which the PAIGC became a player within the transnational anti-colonial public sphere. Abel Djassi Amado is an Assistant Professor of Political Science and International Relations at Simmons College, Boston. He is a regular contributor to Political Matter.